Search warrants were also being executed in New Jersey, Minnesota and Montana. The FBI arrested two alleged members of the hacking collectives LulzSec and Anonymous on Thursday morning in San Francisco and Phoenix, According to Fox news. The suspected hacker arrested in California is homeless and alleged to have been involved in the hacking of Santa Cruz County government websites. The person arrested in Arizona is a student at a technical university and allegedly participated in the widely publicized hack against Sony. Both groups have been targeted by the FBI and international law enforcement agencies in recent months. Meanwhile, the FBI arrested an alleged Anonymous member in San Francisco. The man, who is reported to be homeless, is said to have been involved in internet attacks against Santa Cruz County government websites.Just because a man is homeless, of course, doesn't mean that he can't get an internet connection. Coffee houses, cafes, libraries, etc can all offer cheap or free internet access - and because the computer being used can be a shared device, it may be harder to identify who might have been responsible for an attack compared to a PC at a home. Mistake #1: They brough too much attention to themselves. It is said that John Gotti, the mafia boss, brought so much attention to himself that he became a natural, high profile target for law enforcement. As Amichai Shulman, our CTO, stated before, the Lulzsec, the hackers "were extremely unfocused in their goal and gained attention mainly due to the relative intensity of their activity and lack of other good media topics." They brought too much attention to themselves and you could expect law enforcement to find them. If you look at hacking historically, over the past 20 years many of the high-profile attacks or those that involve serious losses to governments or commercial companies have ended up with law enforcement finding the perpetrators eventually, such as Albert Gonzalez. Mistake #2: They didn't cover up their tracks. As Imperva's Tal Be'ery said in this USA Today article, "When you're running this kind of operation for a long time, especially with not very concrete plans, you're bound to make mistakes." 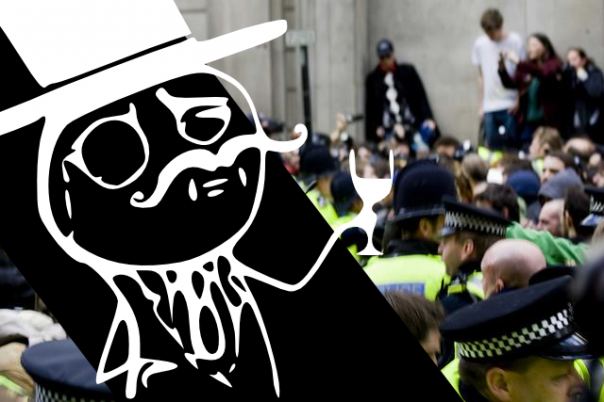 The mistakes Lulzsec and Anonymous made during their hacking spree left an electronic trail with enough foot prints to product today's arrests.